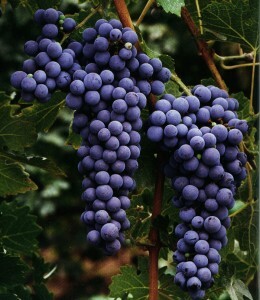 Because of its ability to adapt to all kinds of time, the Cabernet Sauvignon is considered the king of red varieties. Its grape, indigenous to Bordeaux , France, produces a wine with remarkable acidity, hardness and a strong tannic presence. Once matured, it proves to be a tasty wine with a good consistency. It has intense color and a complex aroma mixture of fruit, truffles, coffee, pepper and cassis. It is a wine garde.Dans our country it is grown throughout the wine route. It is ideal to accompany meat, stews, pasta and desserts. Group: free although quite compact, blue-black and conical. Grapes: small with a black and juicy thick skin. ripeness: late. Ideal for temperate areas with mild season in autumn. Originally grown in the Southeast of France, this grape has turned into the premier wine from Argentina, where it has found the most propitious ecological features for its development. Argentinian malbec has become worldwide known and has been awarded well-deserved medals in enological contests. It acquires different features according to the weather and soil conditions where it is grown. In the area of Maipú, Mendoza, it reaches its highest development, surpassing other regions in the country. It produces wines of pleasant taste, medium body with certain earthy notes and an intense purple color. Of vigorous texture and taste, it has a touch of rusticity in the palate. Cluster: mid-sized and quite loose. 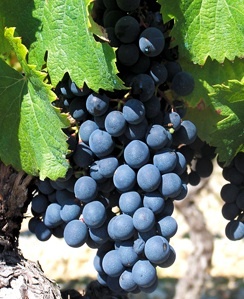 Grapes: Spherical, small or medium-sized, bluish black in color, thin skin and soft pulp.